The Stanley-Sawtooth area offers an incredibly rewarding variety of fishing opportunities. The famous Main Salmon and the Middle Fork of the Salmon Rivers offer endless opportunities for bank fishing, wade fishing and float fishing. Include the hundreds of high mountain lakes and car-accessible valley lakes and the Stanley Sawtooth area is an anglers dream. 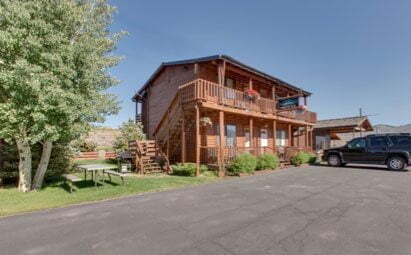 Fishing in Stanley Idaho is GreatAnglers will find West Slope Cutthroat trout, Rainbow trout, Bull trout, hybrid Cutbow trout, Brook trout, Lake trout, Mountain Whitefish and Chinook salmon. In March and April the Steelhead return to the area drawing anglers from across the nation. Local outfitters and guide s offer wade fishing, float boat fishing, horseback accessed fishing, hiking and fishing for both spin or fly anglers. Several valley lakes, many high mountain lakes, and selected sections of the Main Salmon River are stocked by Idaho Fish and Game during the summer months, while other areas host only native fish. 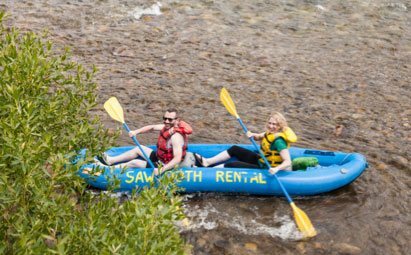 The Sawtooth Fish Hatchery is a popular stopping point in the Sawtooth Valley, with the majority of visitation in June, July and August. pe cutthroat trout are stocked into high mountain lakes in late August. A fishing pond is available for anglers seventeen years of age and under. Hiking and backpacking in the area around Stanley is a dream come true. 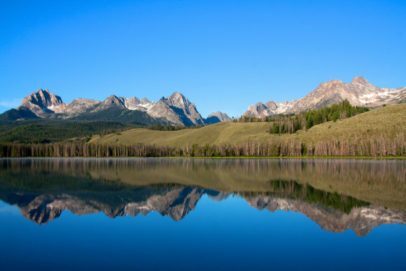 The Sawtooth Mountains, Whitecloud Range and the Salmon River Valley offer endless opportunities to find amazing off the beaten path designations with epic views, pristine lakes, and grand peaks. a lead to hundreds of high mountain lakes that provide opportunities for climbing, fishing, relaxing and total immersion in the mountain environment. A huge variety of trails offer a number of easy walks through the woods as well as strenuous peak ascents. Local hiking, climbing, fishing and horseback outfitters guide trips to many of the areas accessible by trail and offer day and multi day excursions. 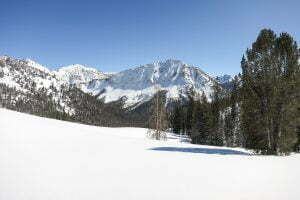 Stanley, Idaho is t he ultimate off-the-beaten path ski destination. Unheard of outside the Northwest, the majestic Sawtooths hold thousands of steep couloirs and huge untouched powder fields. Nestled in the heart of the Sawtooth National Recreation Area, Stanley offers easy access to amazing terrain accommodating both beginner and advanced back-country skiers. 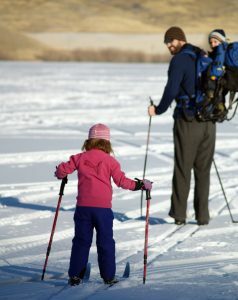 According to SnoWest Magazine, if you want “stop-you-in-your-tracks-and-drop-a-jaw” scenery, Stanley, Idaho is the place! Deep, dry snow piles up during the winter and there are plenty of opportunities for ri ders of all skill levels to try the area, on or off the trails. Close to down there are a myriad of rolling hills thatallow for frolicking in the fluff while more serious riders can challenge the steep mountains that surround the valley. 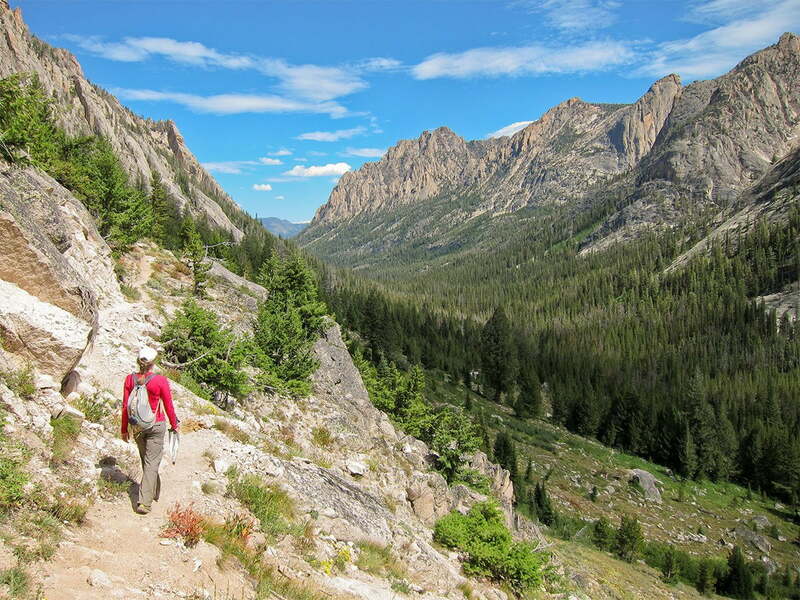 The City of Stanley grooms more than 165 miles of trails. 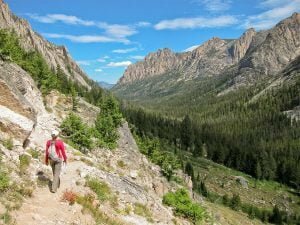 If you choose to stick to the trails there are some fun runs, like from Stanley to Redfish Lake or Stanley to Sawtooth City or for the really adventurous, Stanley to Idaho City. This is the northern portion of the Highway to Heaven Trail, which begins in Boise. Trails head out of Stanley in nearly every direction, giving sledders a different choice for several days of riding. Because of Stanley’s elevation, there are dozens of high mountain lakes you can ride to, although most are accessed via ungroomed trails.